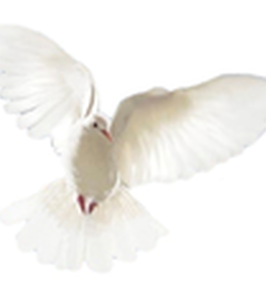 Mr. Larry McGee Service Details - Belleville, Illinois | Serenity Memorial Chapel LLC. To send flowers to the family of Mr. Larry McGee, please visit our Heartfelt Sympathies Store. We encourage you to share any memorable photos or stories about Mr. Larry. All tributes placed on and purchased through this memorial website will remain on in perpetuity for future generations. My deepest sympathy for your great loss. Although pain and sorrow fills your hearts at this time, may you find comfort and strength in the Almighty God words at Psalms 34:18 "Jehovah is close to the brokenhearted; He saves those who are crushed in spirit....“If a man die, shall he live again?” asked the man Job long ago. (Job 14:14,15) Perhaps you, too, have wondered about this. The reuniting with your loved ones is possible right here in a New Paradise on earth soon to come. God's words makes the promise: “Your dead ones will live. . . . They will rise up.” And the Bible also says: “The righteous themselves will possess the earth, and they will reside forever upon it.”—Isaiah 26:19; Psalm 37:29.